I admit I don't always work out multiple days every week. When I do I like to workout outside by either walking or jogging a few miles and in the Florida heat I can work up a good sweat. To top it off my scalp sweats a lot which if not taken care of causes my scalp to itch like crazy for days afterward. It also makes my hair look flat and greasy. To keep my hair and scalp healthy, smelling good and not itchy I started to employ a few techniques. During after a workout I wear my hair in loose updos. It depends on my mood, but I may choose a loose ponytail or bun. Or I'll use a hair clip to pin my hair up. I don't like having hair on my neck because sweat gets on my hair and it makes my neck hot. Loose updos also let my scalp breathe so my scalp dries quickly when I've been sweating. When I've worn tighter updos the sweat would stay trapped near my scalp resulting in lots of itching and dry roots. If I work out multiple days in a row my hair and scalp starts to look like and feel like it. To keep it fresh and not have to wash my hair every day I like to use a dry shampoo. The one I'm using now is the Suave Moroccan Infusion Dry Shampoo. I section my hair and spray the dry shampoo near my roots in each section. After spraying I work the product through my hair with my wide tooth comb. The result is a nice smelling scalp and hair that doesn't feel or look nasty anymore. While I use a dry shampoo in between workouts I use a clarifying shampoo after several workouts. Using a clarifying shampoo makes my hair and scalp feel fresh again and gets out any remaining sweat and grime. The two clarifying shampoos I've been using are SheaMoisture Jamaican Castor Oil Shampoo and Ion Hard Water Shampoo. Both clean out the sweat and grime from my scalp and hair without drying them out. 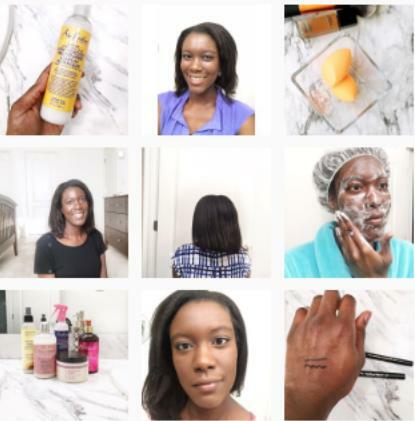 To make sure my hair doesn't dry out whether I've clarified or not I like to moisturize and seal my hair strands. I like to use a creamy leave-in like the SheaMoisture Jamaican Black Castor Oil Leave-in Conditioner and mix it with a natural oil like sunflower oil. 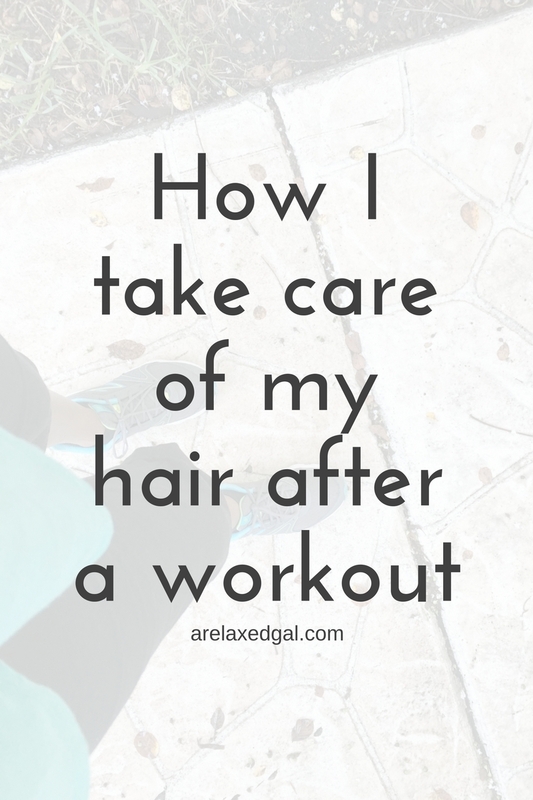 How do you take care of your hair after working out? I am estatic to try this! I am beginning this journey today with a dry shampoo (one 'n only argan oil dry shampoo), SheaMoisture Jamaican Black Castor Oil Leave-in Conditioner mixed with Sunflower Oil. 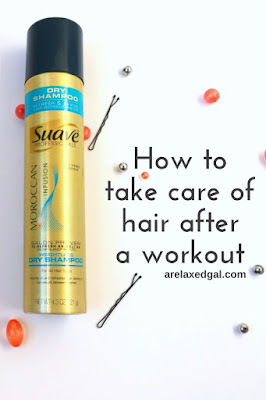 I do crossfit and I have been experiencing dryness with my hair after my workouts and the product that I have been using (which is a great product and I feel its my improper management, not its fault) has not helped maintain my hairs moisture. I will definitily keep you informed of the outcome! Thanks for the great tips!!!!! I'm glad you found them helpful! Yes, do keep me posted on the outcome. I'd like to hear if you developed any tips of your own. I am excited to try your routine Leah! I'll you know how it goes!